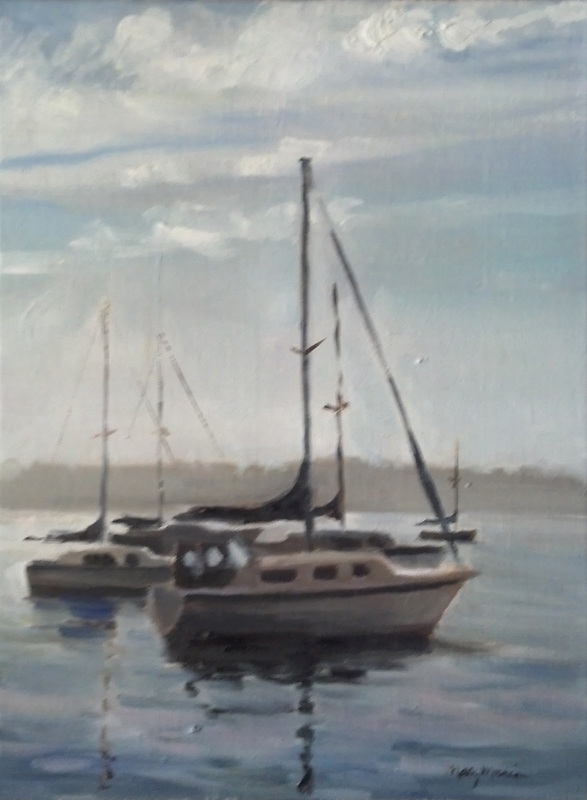 I haven't painted very many boats yet. The first picture was copied from a painting I coveted at an Oil Painters of America show at the Crooked Tree art gallery in Petoskey, MI. (I couldn't afford to buy it :-)) The sailboats at anchor were peacefully resting in Traverse City, MI. The old shrimp boats were near the Outer Banks. 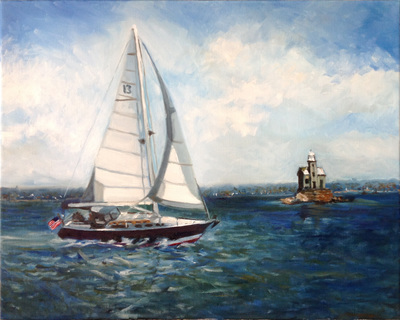 The sloop under sail was commissioned by my friend Holly as a gift for her father, the owner of the boat. 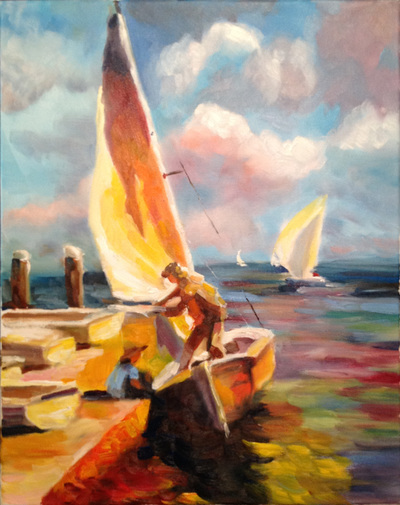 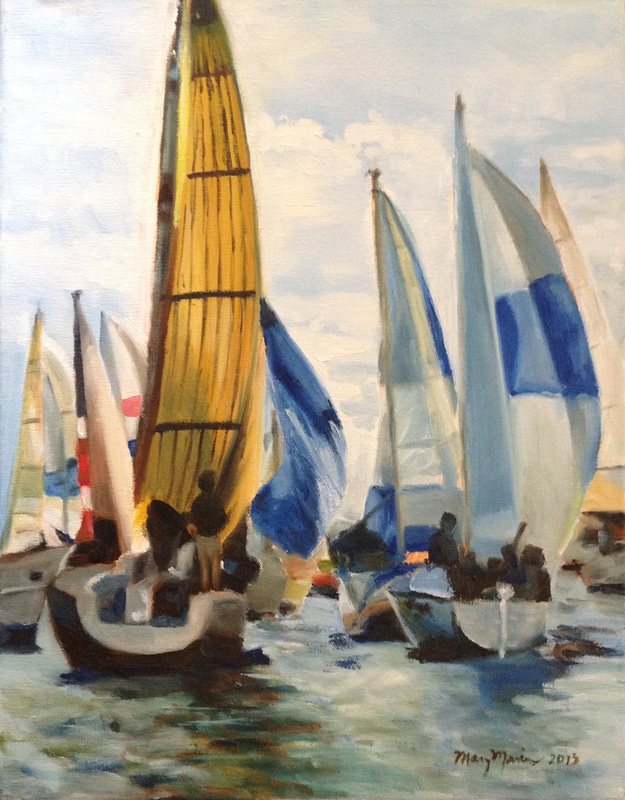 The racing scene was painted from a photo my friend Linda took in Annapolis. 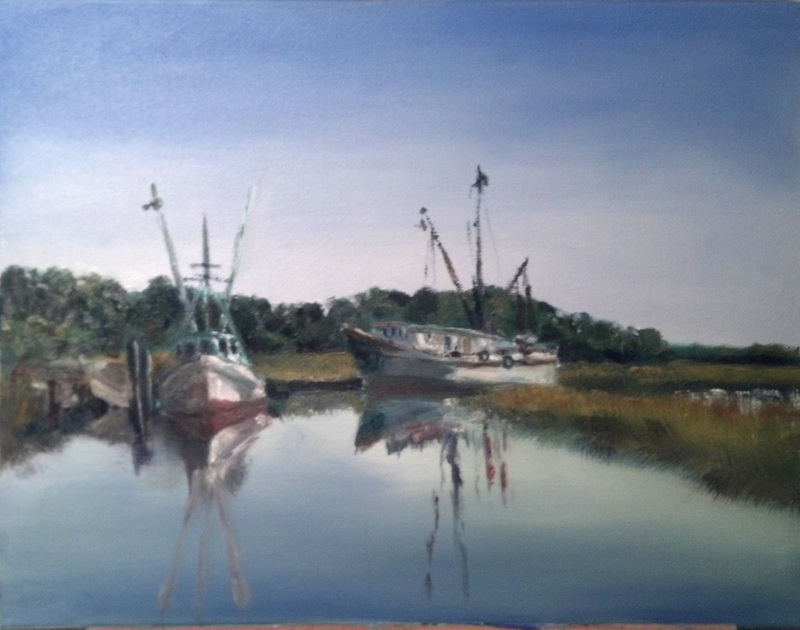 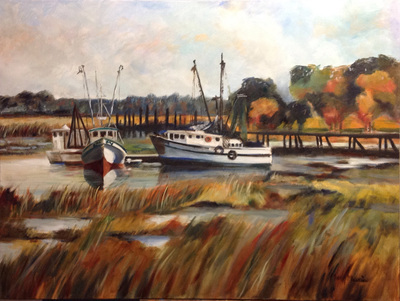 Finally, the last painting is similar to the other shrimp boat scene, but with a different background.